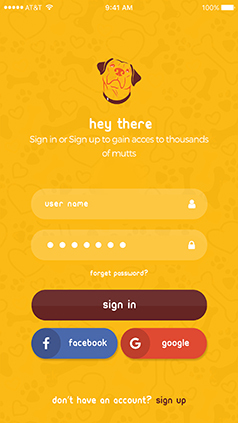 Easily login to search the breed of you mutt. 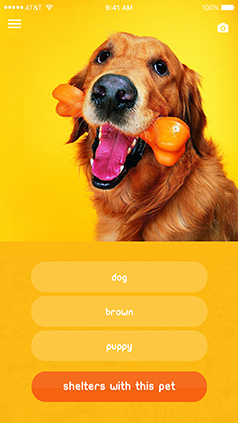 Find the breed of your pet with the amazing image recognition feature. Find a shelter and adopting your favorite pooch is just a few clicks away. Have you ever wanted to know the breed of your pooch and haven't been able to? 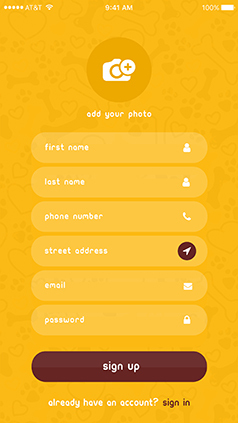 Our image recognition software not only tells you what your pooch is, it links you to local shelter and rescues to find a friend for your family member. Who's My Mutter comes packed with several notable features. Here are some of the best ones that you’d like to use. 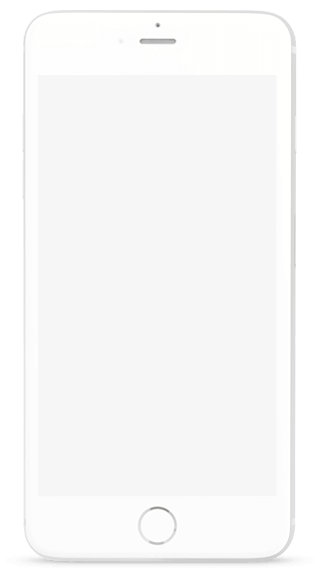 Pull your phone out and click your picture. The image recognition will easily determine the breed of your pooch. Not only can you find the breed of your pooch, but you can also find pups in shelters near you. The application not only finds your breed but performs an in-depth analysis on the breed. 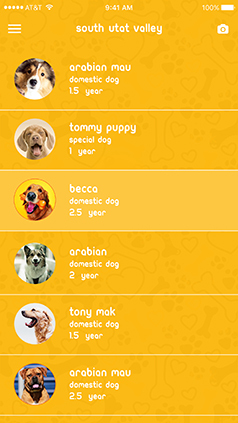 Shelter admins can upload information and promote their pet profiles to help rank in the searches. Want to manually upload a picture? No problem! Upload the picture directly from your phone’s gallery. 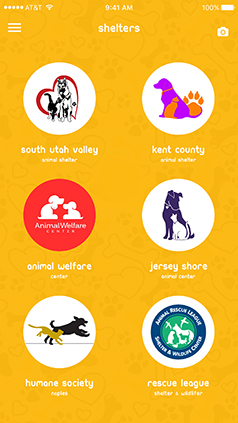 Animal shelters also have the ability to advertise in the search results with a premium membership. 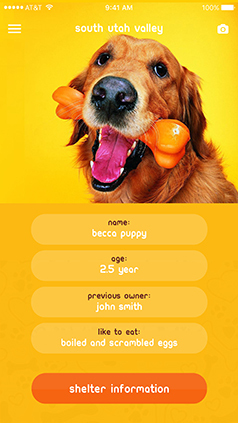 User will get the breed of their pet and find important information about the breed. The results are easily shared on facebook. 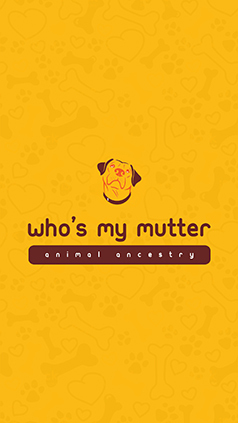 At Who’s My Mutter we want to revolutionize the way you search for your pets breed. With our state of the art image recognition system, we can easily help you find your pets breed. Just take out your phone, open your camera and click three pictures to help determine breed. Can’t take a picture? That’s no problem! 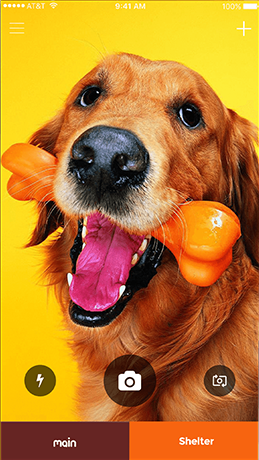 You can also upload the picture of your canine by just browsing to the picture via your phone’s photo gallery. Who’s my mutter provides you with the best search options, not only for the user but for animal shelter owners as well. Once the advanced image recognition identifies the breed of the dog, you are provided with the results as per the shelters closest to you. All you have to is visit and inquire the animal shelter about your pet. Additionally, Animal shelter owners can also benefit by paying a small fee allowing them to boost their position in the search results. Once you’ve found your favorite pet in your nearest selected animal shelter, you can easily contact them and adopt the pet. All of this at no cost whatsoever! Now that’s what you need to adopt the perfect dream pet. 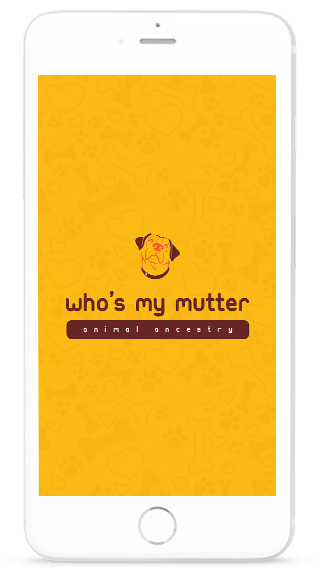 Download who’s my mutter from the Apple App Store and Google Play Store today and get hold of your new pet today! absolutely beautiful so that not only does the user enjoy using the application. When Is Who’s My Mutter Launching? Already waiting for Who’s My Mutter to launch? We’re just as eager to make it live on both the iOS App Store and the Google Play Store. Follow our countdown to keep track of our app launch. Be The First To Know When Who’s My Mutter Goes Live. 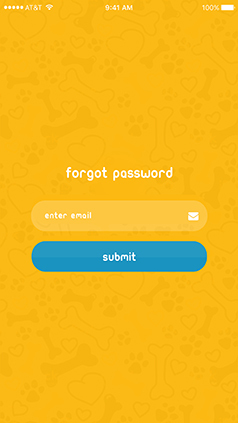 Enter your Email Address and your Password below and we’ll make sure we notify you when the app goes live. Who’s my mutter itself has set the bar for animal facial recognition and the market for pet adoption. It is always amazing to find the breed of your pet, but then to link to local shelters and rescues to find a friend for your pooch. It is quite easy to find an ad online.